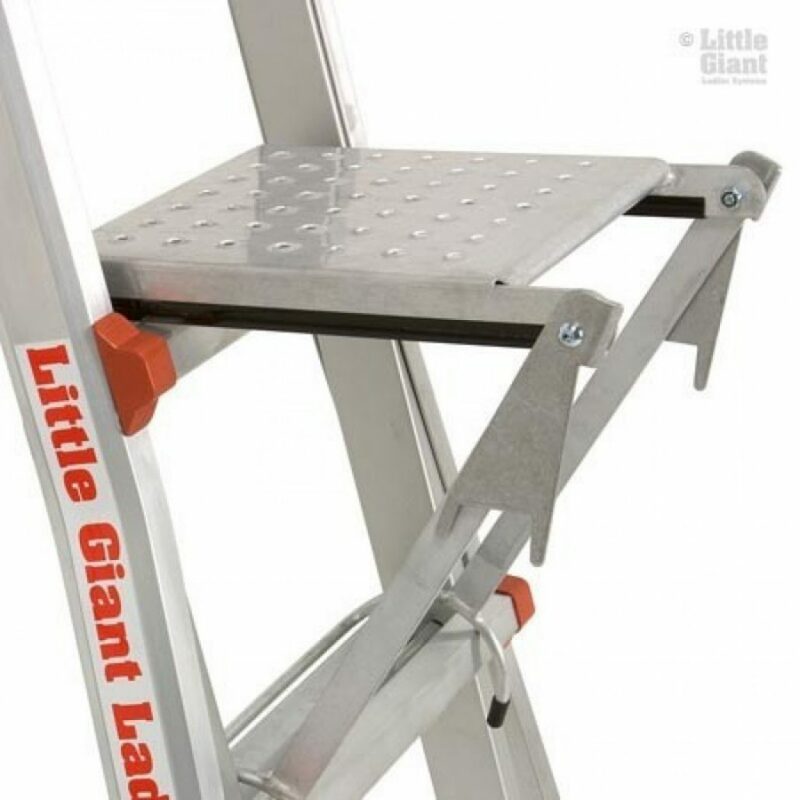 For every 10 Little Giants we sell, 8 of those Giants will have a work platform sold with them. There is a good reason for this – it’s a great accessory. 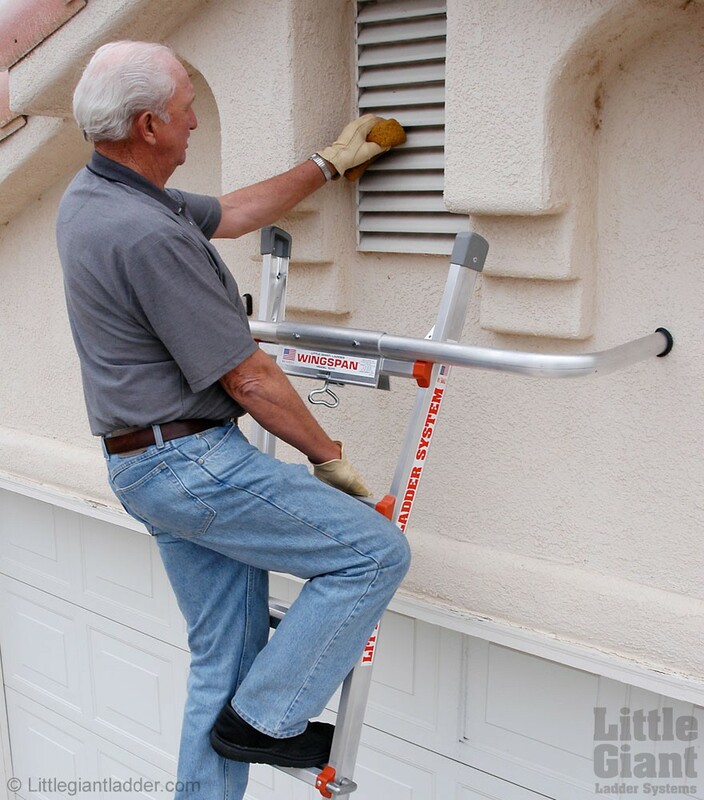 This work platform converts your Little Giant into a platform ladder this gives your feet complete support and makes working on the ladder very stable and comfortable. The platform can be reversed and then it can be used as a tool shelf or perhaps you need 2 work platforms, one to stand on and the other for your tools. 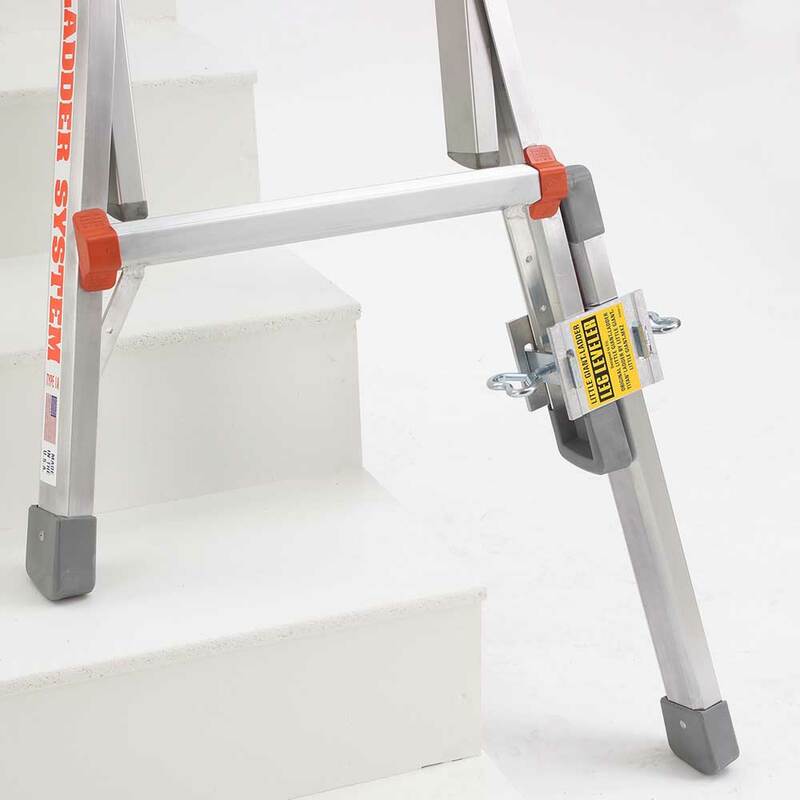 The platform fits onto every rung of the ladder allowing you to position it exactly where it’s needed. 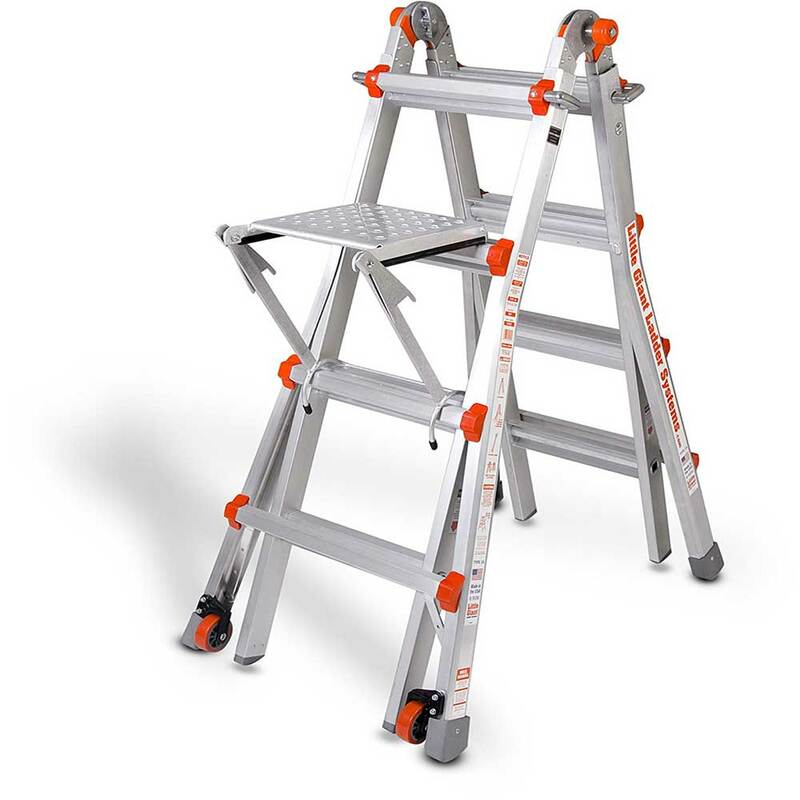 The platform will support 150kg and is suitable for use with the Little Giant Ladder System only. 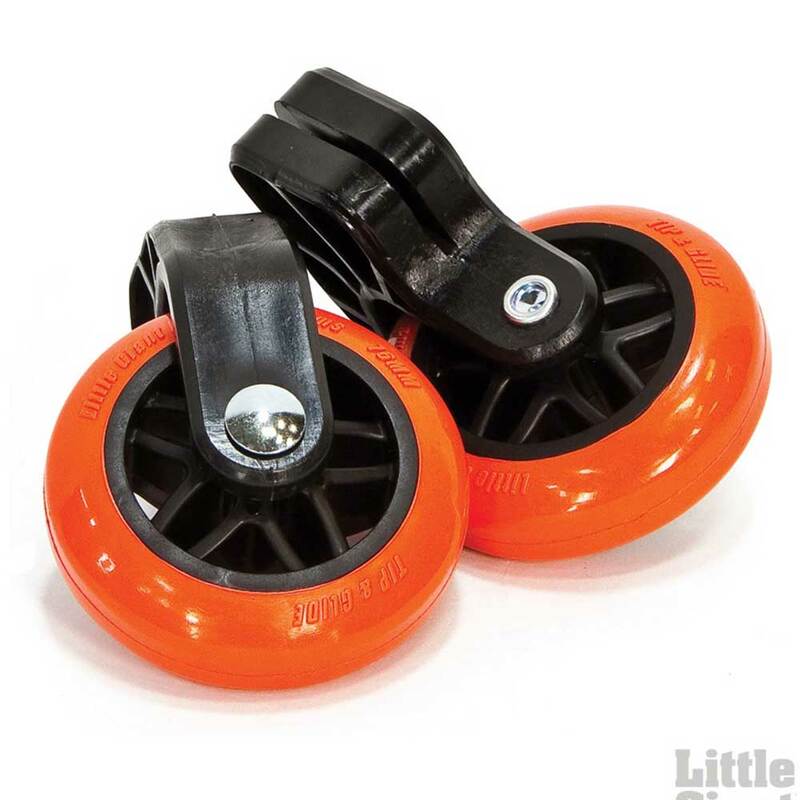 The tip ‘n’ glide wheel accessory kit can be retro fitted to all Little Giants. When moving the ladder from one location to another on site these wheels will make your life easier. The Stand off is the ideal solution when working around windows, gutters and other overhanging obstructions. 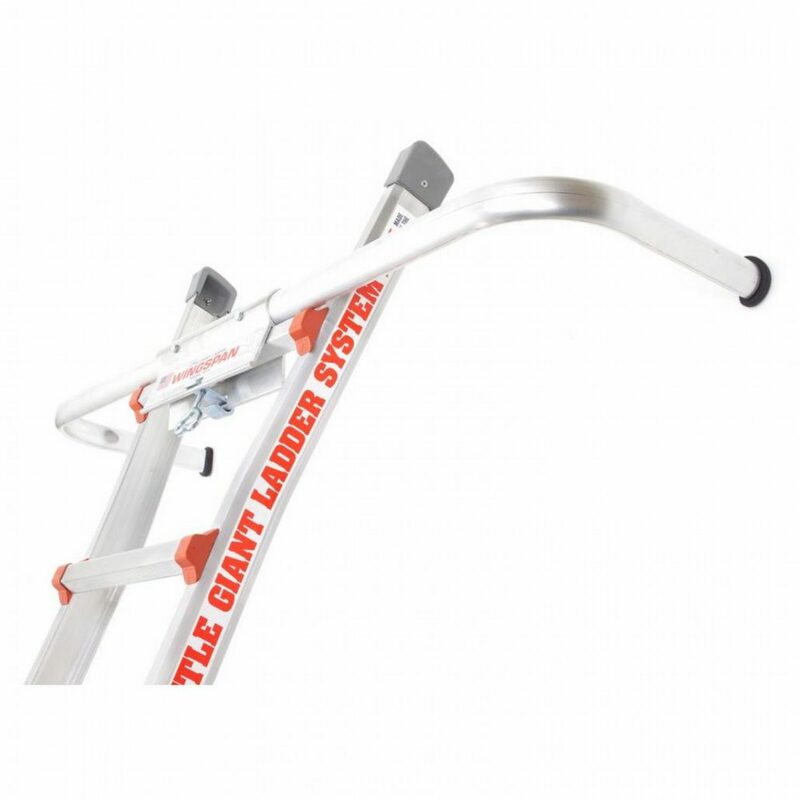 Simple to fit to the ladder but is only suitable to use with the Little Giant Ladder System. When working on uneven ground or on steps fitting a leg leveller to your ladder gives you the flexibility to set your ladder up anywhere. 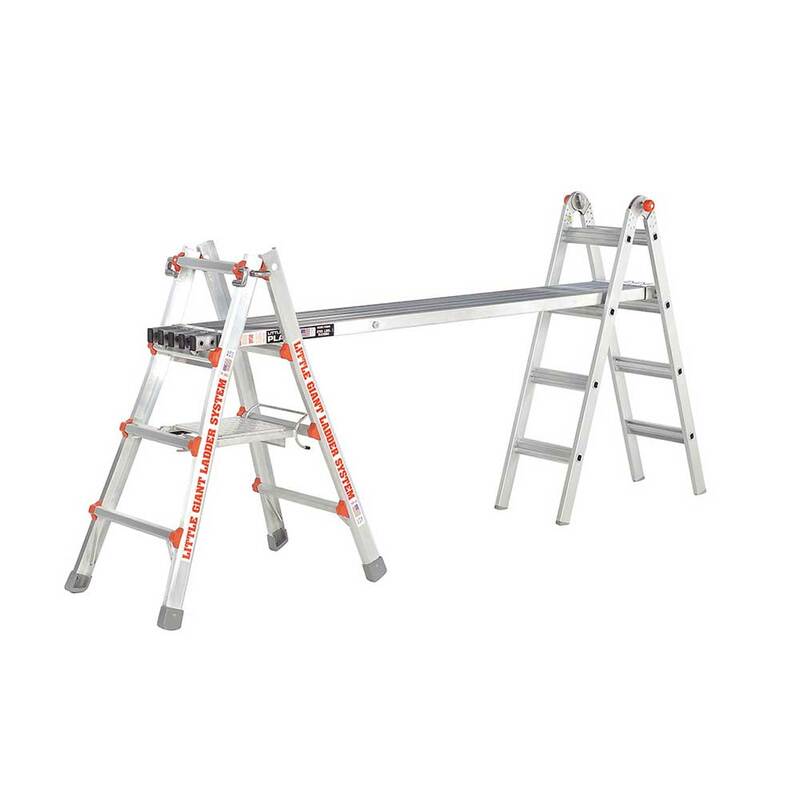 This accessory is suitable for use with Little Giant Ladder System only. 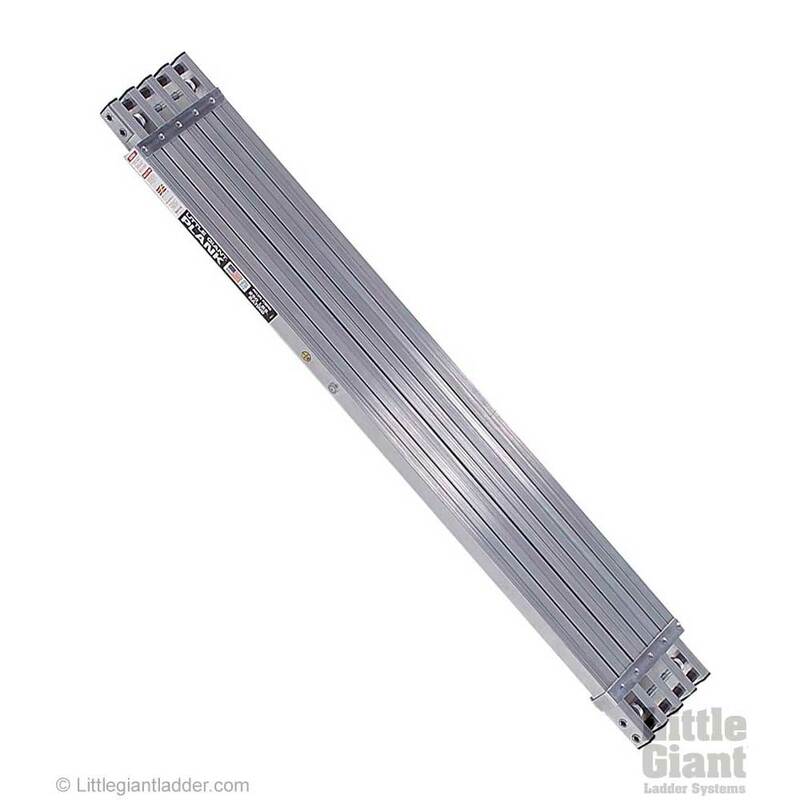 This telescopic work plank converts your Little Giant into a flexible scaffold platform. 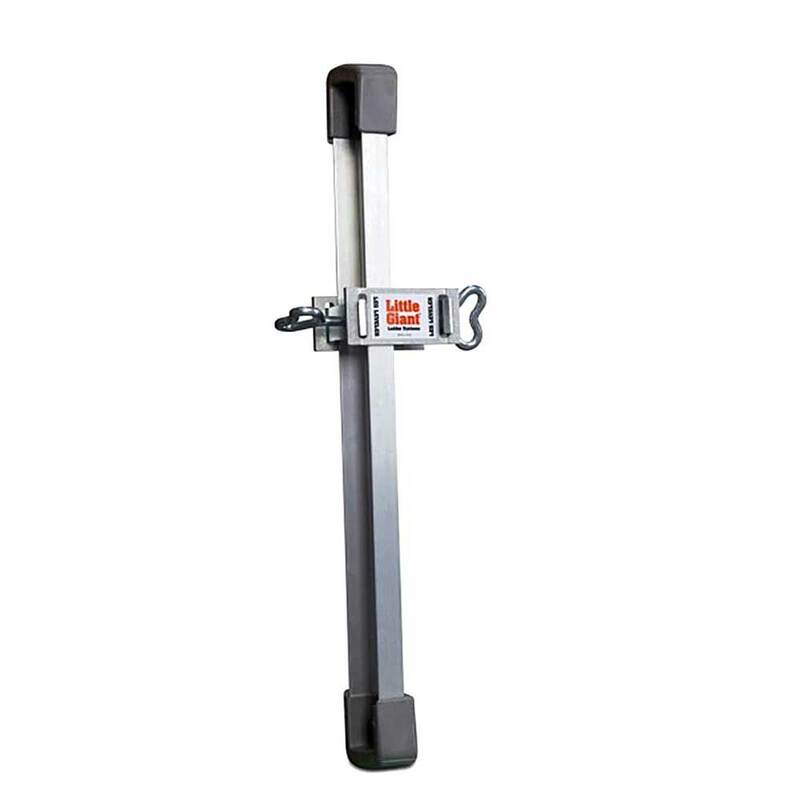 The plank extends from 1.8(m) to 2.74(m) and it is only suitable for use with Little Giant Ladder System.